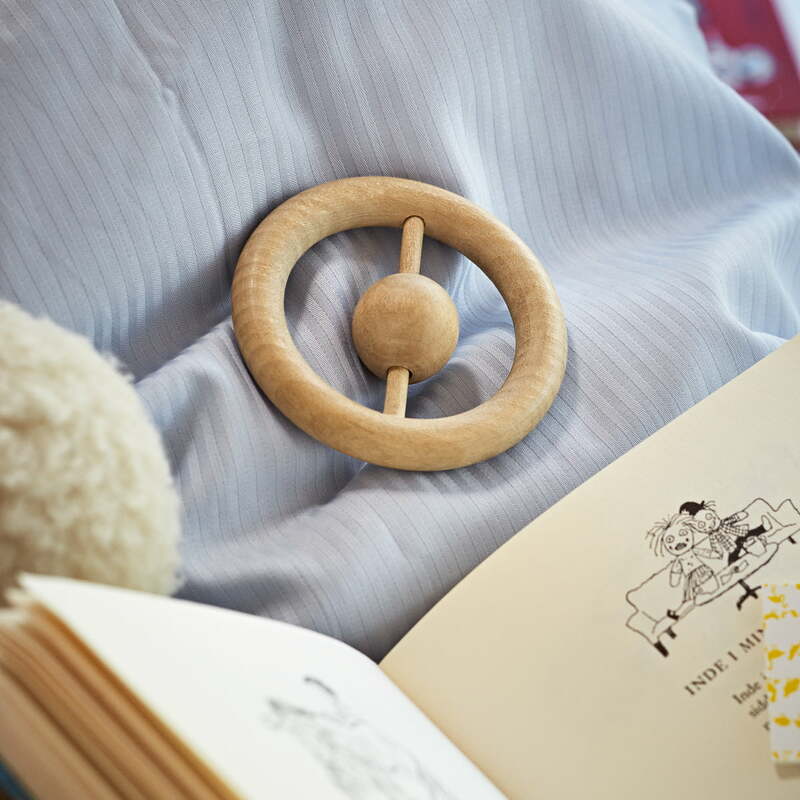 Designer Kay Bojesen created this rattle with rotating ball and optimal dimensions for children's hands in 1932. The wood is untreated and contains no harmful substances. A classic gift for the baby shower or baptism. The simple design draws the child's attention to the sensuous touch and grasping of the material and the form. The ball on the central axis can be turned and moved along the axis, thus playfully bringing the baby into contact with simple mechanical processes. 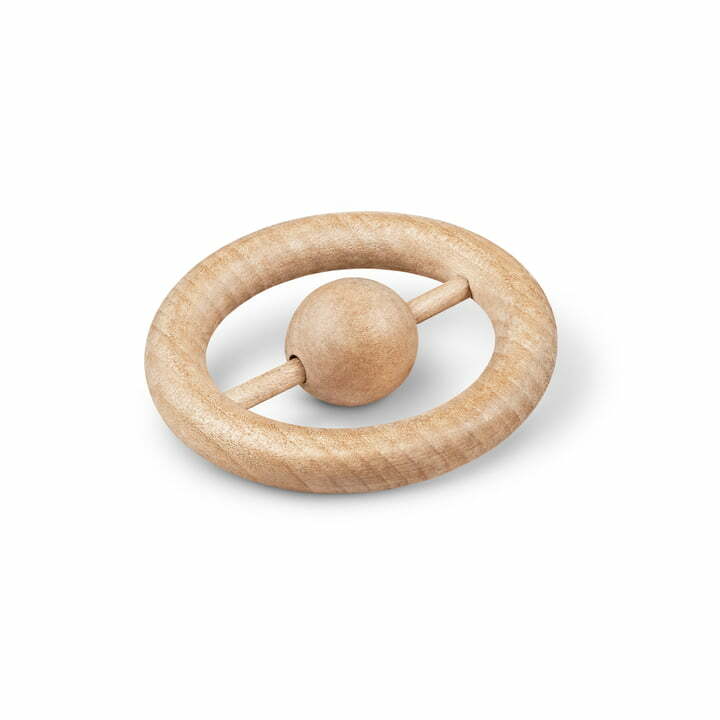 The clear shape and the simple finish of the high quality material makes the rattle made of bright beech wood a design object beyond childhood. 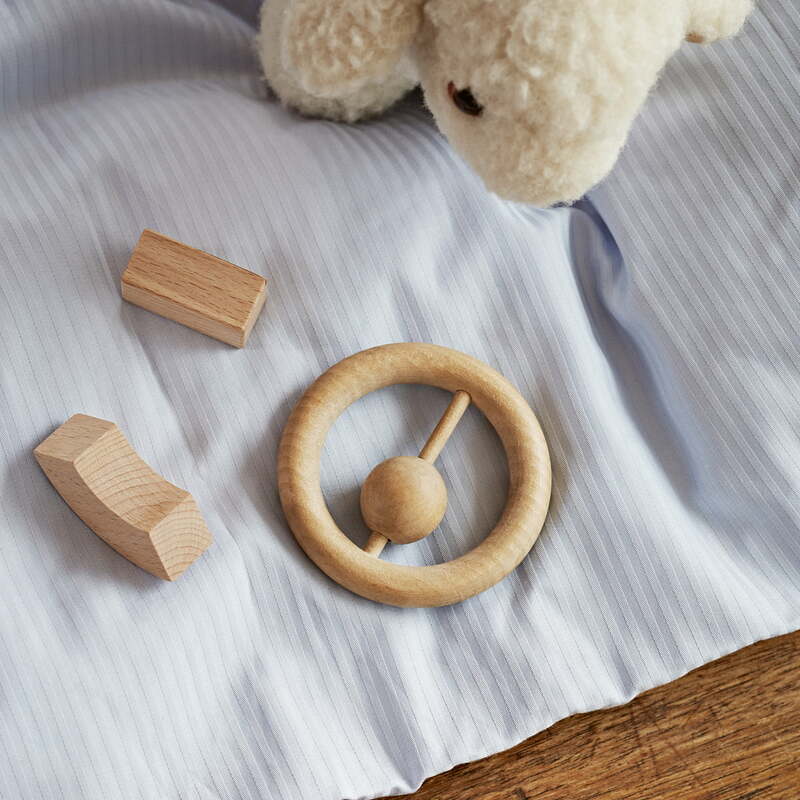 Together with objects from the wooden animal series, the child will be accompanied by the stylish Kay Bojesen design for a long time. Through their clean lines and high quality materials, Kay Bojesen made his objects into design classics that are trusty companions even throughout adulthood.